Last year, Mozambican health authorities started a equipping clinics with WHO endorsed diagnostic technology that in order to find more TB-positive patients at clinics. Called a GeneXpert machine, it involves molecular TB tests to detect TB in sputum samples and is more accurate than standard smear test microscopy. Conventional microscopy culture and drug sensitivity testing are still needed, as these are required to monitor patient treatment progress and to detect other types of drug resistance in the clinics - GeneXpert cannot be used for treatment monitoring as it detects both live and dead bacteria. The Mozambican Ministry of Health has been urging health clinics to intensify the use of Xpert MTB/RIF as the main diagnostic test for all suspected TB cases, and this resulted in a decrease in the number of samples being received by APOPO’s lab in Maputo. APOPO has now modified its strategy to increase GeneXpert testing as the WHO confirmation test after rats have checked samples allowing APOPO Mozambique to launch a study comparing the TB detection rats to Xpert MTB/RIF diagnosis. 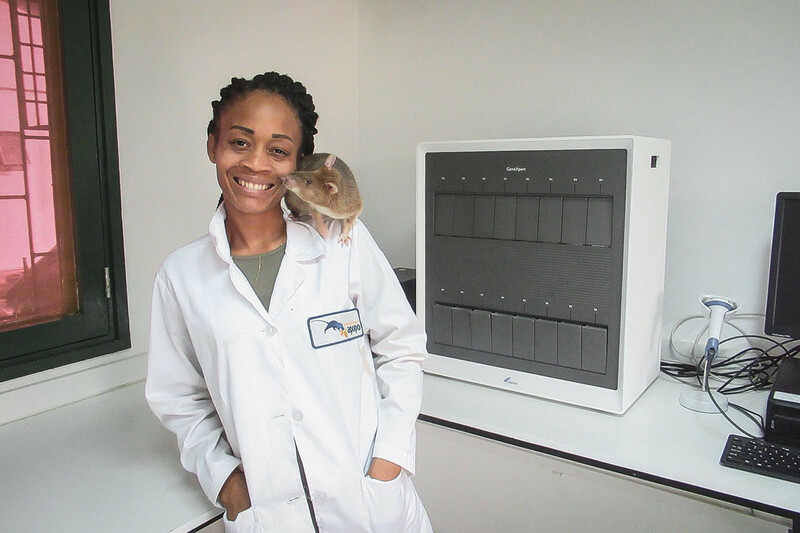 Over the past few months, APOPO’s current research into using rats as a swift TB diagnostic tool has increased coverage from 16 to 20 health clinics in Maputo city. APOPO continues to operate in partnership with Médecins Sans Frontières (MSF) which is supporting six health centers in the field of multi-drug resistance TB (MDR TB) and examining new treatment regimens in Maputo city. APOPO recently acquired a 16-module GeneXpert machine allowing APOPO to process close to 100 samples daily. The testing cartridges are supplied by MSF with an additional 150 from the Maputo City Health Directorate. This is a significant step forward in the intention of the Maputo health authorities to reach complete GeneXpert coverage in the city. whose generous support make our life-saving work possible.